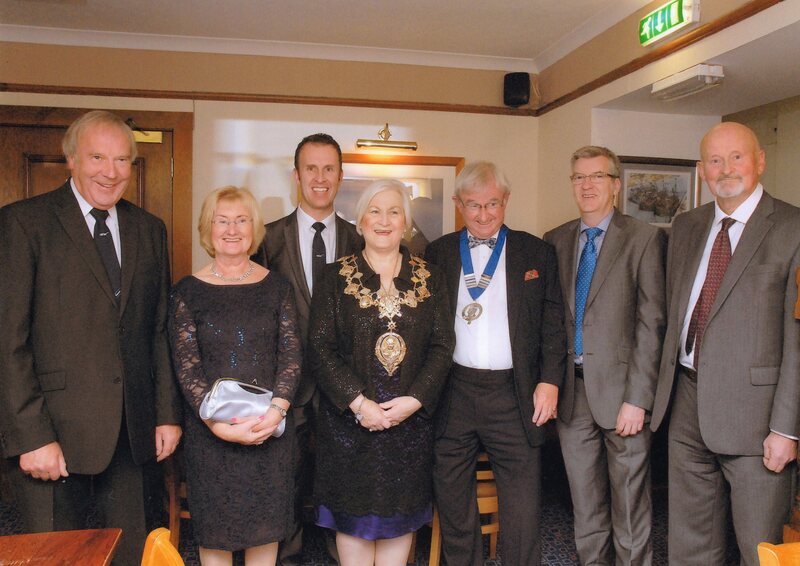 On Thursday 24th October 2013, Jane Brown, President of the Robert Burns World Federation, was guest of honour at Largs Cronies' annual President's Halloween Dinner held at the Village Inn, Fairlie. Jane spoke of her travels to Burns Clubs throughout the UK, Canada and the USA and then gave a very interesting account of her role as manageress of the Globe Inn in Dumfries. She finished her speech by dressing up as Jane Armour and reciting a specially written poem expressing Jean's appraisal of her husband about whom she said "Oor Rabbie should have had two wives." Musical entertainment was provided by expert violinist, Hugh McGilp, who enchanted the audience with his selection of Burns' tunes. Cronies' President, Ronnie Munton, said that monies raised from the raffle at the dinner would be used to fund the club's very successful annual Burns' Schools' Competition in local primary schools. Vice President, Robert Honeyman, thanked everyone who had contributed to a great night and was pleased that the date of the dinner had been brought forward a week so that World President Jane could attend. World Federation Senior Vice President, Jim Thomson, proposing the Immortal Memory. 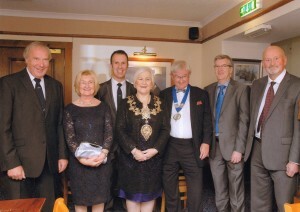 From left: Brian Jackson (Secr etary of Largs Cronies), Jean Jackson, Robert Honeyman (Vice President of Largs Cronies)), Jane Brown (Robert Burns World Federation President), Ronnie Munton (President of Largs Cronies), Rev Stephen Smith, Hugh McGilp.